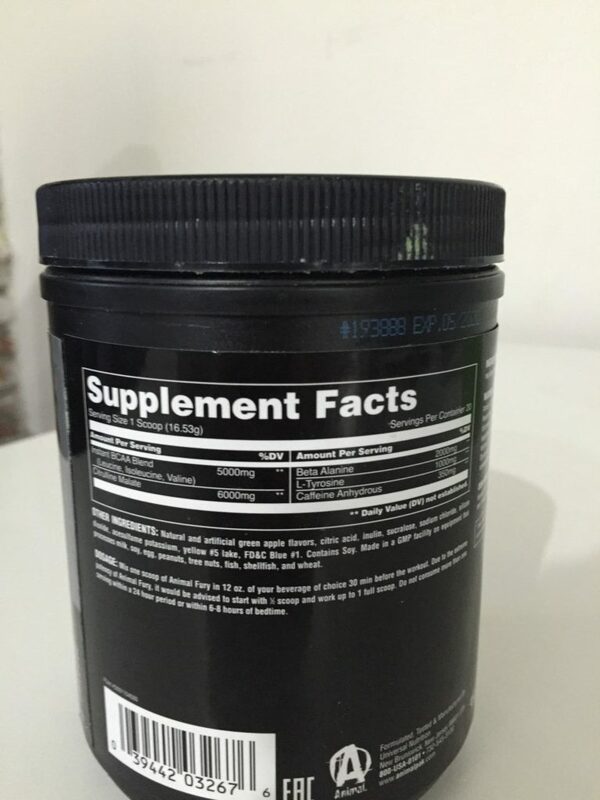 Home » Animal Fury Pre-Workout Review — Effective With Few Ingredients? Animal Fury Pre-Workout Review — Effective With Few Ingredients? This pre-workout contains all of the essentials for a great lift and contains over 5g of BCAAs and plenty of other lift aiding ingredients. There’s no calorie information, but one scoop has 5 grams of branched chain amino acids — the amino acids leucine, isoleucine, and valine — and 350 milligrams of caffeine, about as much as you’ll find in 3.5 cups of coffee. There’s also 6 grams of citrulline, 2 grams of beta alanine, and 1 gram of tyrosine. I’ll discuss the effects of these ingredients in the next section. Other than the main ingredients, there’s also a variety of natural and artificial sweeteners (including sucralose and acesulfame potassium), food dyes, and anti-caking agents. It’s usually assumed that a pre-workout will contain a big hit of caffeine, but Animal Fury has one of the largest I’ve ever seen: 350 milligrams. This should provide a big jolt of energy, but it might be too high for certain users who are sensitive to the stimulant’s effects. What’s much more uncommon is the 5 grams of branched chain amino acids. Some studies suggest that if you’re exercising on an empty stomach, BCAAs may help to preserve muscle and improve endurance and focus, so I was glad to see their inclusion. I was impressed at the dosage of the remaining ingredients, particularly the citrulline malate. Citrulline is linked with improved blood flow, circulatory health, and (less conclusively) power output, and while it’s a common ingredient in pre-workouts, most companies just include a gram or two of the stuff. That may be enough to promote circulatory health when taken on a regular basis, but if you want an acute effect for a workout, you probably need a good 6 grams of citrulline. Similarly, there are 2 grams of beta alanine, which is strongly linked to endurance. Studies suggest you need a good 1.6 grams to have the desired effect, so 2 grams is a solid dose. That said, beta alanine does tend to produce a “tingling” sensation on the skin, which some people find unpleasant. It’s harmless, but if you hate that feeling then you might not love Fury. Finally, the tyrosine has been linked to improved focus and alertness, particularly in stressful situations like a workout. You can pick up 20 servings for $30, which is $1.50 per serving. That’s relatively expensive; most pre-workouts are between 80 cents and $1 per serving. 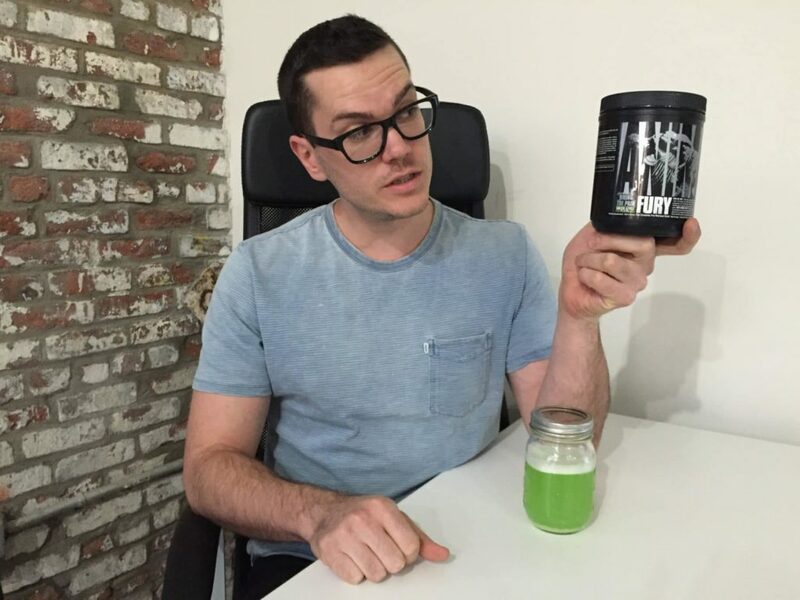 But it’s worth pointing out that Fury doubles as a BCAA supplement and it has higher doses in most of the active ingredients than a lot of its competitors, so you may feel the price is worth it. The Green Apple flavor tasted just like apple-flavored candy. (Think fruit-flavored gummies.) Because the product contains BCAAs, which are naturally quite bitter, I was expecting a more “sour apple” flavoring because most BCAAs use sourness to offset that bitterness. But Fury wasn’t bitter, it was just pleasantly sweet. Animal Fury Pre-Workout delivers. The only real concerns are that the caffeine could be too high for some people, the artificial sweeteners are controversial in some circles, and it’s made in a GMP facility on equipment that processes a lot of common allergens like gluten and shellfish. 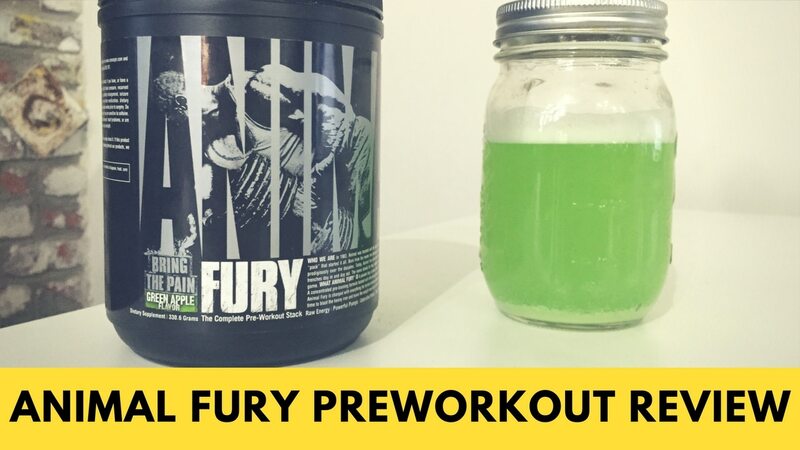 Some people prefer pre-workouts with electrolytes in them as well, which Fury doesn’t have. But when I want a pre-workout I just want plenty of caffeine, beta alanine, citrulline, and ideally some BCAAs. Personally, I would be happy to pay the extra cash for Fury. How did it perform in the gym? 3. Step 3: repeat once or twice and write a review. At the end of the day it’s all about performance and not a feels good tastes good experience! worst feeling ever is taking a pre-workout and crashing right in the middle of your session.